Discover the migration paths your ancient ancestors followed, and learn the details of your ancestral makeup. Find out which historical geniuses you could be related to - you might be able to brag that you have ancestors in common with Benjamin Franklin! 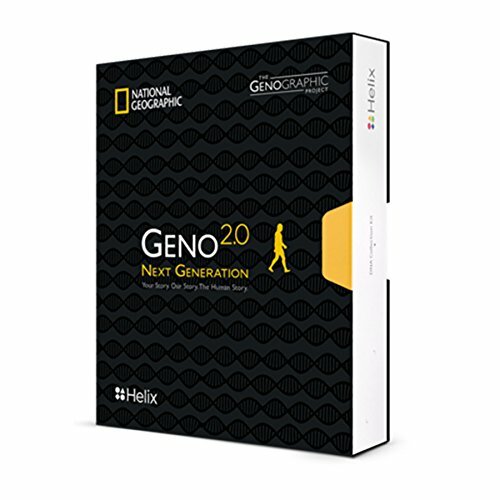 Gain a unique view of your DNA results with our new Geno 2.0 app for the iPhone with which you can easily share a custom video of your ancestral journey and a Neanderthal selfie with friends and family. How does it work? This kit has everything you need to provide a small saliva sample, including a pre-paid shipping box to send your sample back to our lab.